11,000 – 10,500 B.C., as part of the recovery of the gold-extraction mission from the planet Nibiru to Earth after the Deluge of 11,000 B.C., the Goldmining Expedition Commander, Enlil/Yahweh ordered a new rocket terminal at Sinai, on the Arabian Peninsula, for freighting gold to Nibiru. Enlil told Chief Scientist and Mining Operations Chief, Enki/Ptah (aka Adanoi) and his lineage, the Enkiites, to build the new terminal, Mission Control and guidance facilities in a mountain-like Great Pyramid at Giza, near the Nile at the 30th Parallel. Sinai and the new terminal were supposedly neutral under Chief Medical Officer Ninmah/Hathor, Enki and the Enkiites intended to control Sinai. Whoever ran the Giza and Sinai, controlled “space activities, the comings and goings of the Nibirans. Ningishzidda (with power tools better than ours to cut and move rock) built two pyramids in Egypt. First he built a model, then the Great Pyramid. Then he built the Great Pyramid, aligned to magnetic North, on the very spot that’s the center of all Earth’s landmasses. The Great Pyramid rose 480 feet, covered 13 acres with 2.5 million pounds of stone, some that weighed over 70 tons, quarried and transported over 500 miles to Giza. 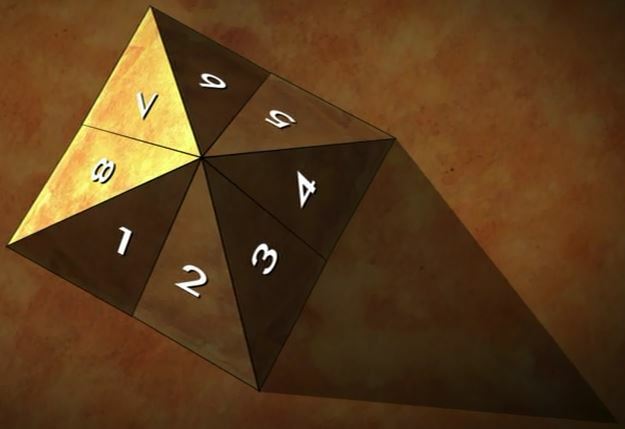 The Great Pyramid is actually eight-sided with concavities in its four primary sides. This shape makes it cast cast the eight-sided shadow on the Equinoxes. The whole pyramid complex here, and the other pyramid complexes Ningishzidda subsequently built in Mesoamerica and on other power spots on our planet, were laid out to exactly correspond with the stars in the Orion constellation. Capacitated energy from the Earth pinpointed Orion’s belt. The Great Pyramid was built over the records of the Nibirans, inscribed on emerald tablets, in a secret chamber, the Halls of Amenti. [Doreal, Emerald Tablets of Thoth-The-Atlantean: 1]. Marduk taught his puppet rulers, the pharohs, that the Sphinx would guide them, when they died, “to an Afterlife, when their Ka [spirit] joined the gods [ie, the Nibirans] in their heavenly ascents. Marduk rewrote Egyptian history,demoted Ningishzidda in his version of history, to “the Divine Measurer,” and replaced Ningishzidda’s image on the “Stone Lion” (Sphinx). The new face of the Sphinx: OSIRIS (Asar). [ZS, Time: 255]. Ningishzidda (with power tools better than ours to cut and move rock) built two pyramids in Egypt. First he built a model, then the Great Pyramid. Then he built the Great Pyramid over the records of the Nibirans, inscribed on emerald tablets, in a secret chamber, the Halls of Amenti. He installed Nibirans’ master computer programs and astronavigational equipment in the Great Pyramid and configured the pyramid itself as a communication device send messages directly to Nibiru. .Marduk fumed that Enlil choose Utu to run the Sinai Spaceport on the 30th parallel. The 30th separated the realms of the Enlilite Lineage (North of 30) and Enkiite (South of 30). In the Great Pyramid, Gibil installed pulsating crystals and the Gug Stone, a capstone of electrum, to reflect a beam for incoming spacecraft. The beam pointed directly to the belt of the constellation Orion. The beam from the capstone marked the western edge of the runway line from Ararat to Tilmun on the Sinai. Mt. Katherine, at the southern tip of the Sinai, marked the eastern edge of the rocket runway corridor. Mission Control perched on Mount Moriah (the future Jerusalem), off-limits to Earthlings. Christopher Dunn shows how, in the salt-lined Queen’s chamber of the Great Pyramid in Egypt, hydrated hydrochloric acid and hydrated zinc flowed together down shafts and released hydrogen which, lighter than air, rose through all the upper chambers and whose energy, added to the vibrations of the Earth itself, resonated in the Grand Gallery and went up 27 vertical shafts (shown below) to keep a microwave that sustained itself for hundreds of years. M. Tellinger has documented collaborative evidence of ET-run electrical capacitation in southeast of Africa. Ancient pyramids waken after centuries, millennia of slumber. Tourists screamed, others shot hasty videos with their camera phones as the Mayan pyramid rumbled. But no earthquake followed, instead a brilliant beam of light shot skyward into space as awed onlookers gasped, wondering what it meant. But the Mayan pyramid of Kukulkan transmitting a raw column of incredible energy into space was just the latest pyramid to do so. 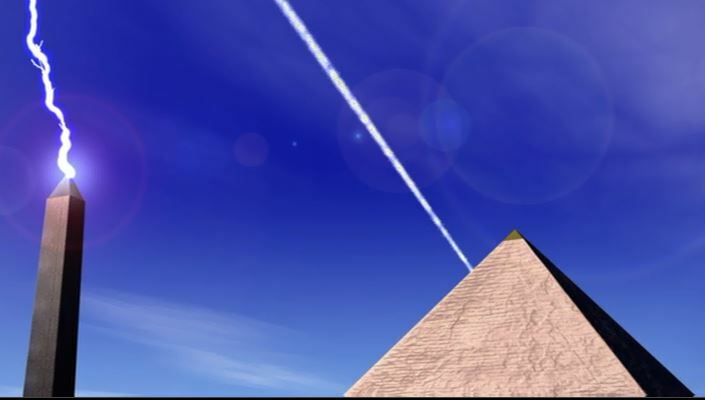 In 2009 and 2010 the Bosnian pyramid of the sun beamed a pencil thin ray of pure energy towards space. That amazing incident was followed by the vortex blast—witnessed and captured on film—shooting from the apex of the famous Aztec Pyramid of the Moon in Teotihuacan, Mexico. Energy beams, vortexes, whirlwinds of intense force…what does it mean? Where is that energy being directed and why? What activated the mysterious power of these silent sentinels of stone quietly marking the passage of centuries…until something disturbed their slumber? 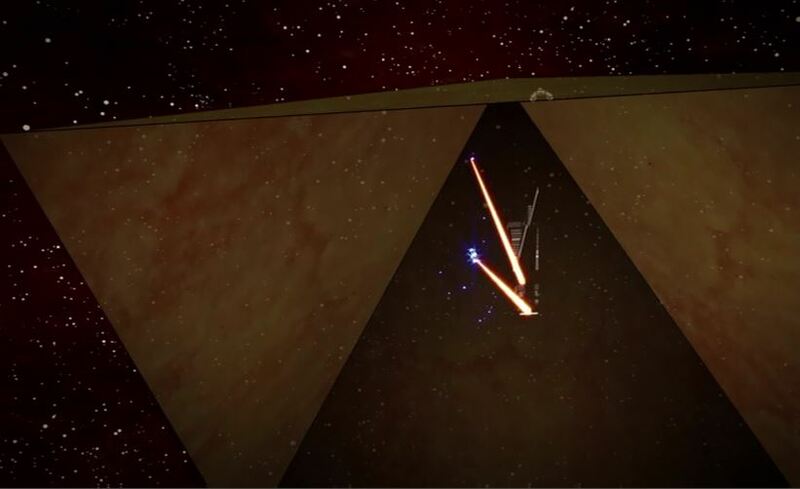 What brought them to life may be something more incredible than the actions of the pyramids: the arrival of an unknown force from the galactic void that’s now surrounded much of the solar system. Our entire solar system has entered an immense, potentially deadly, interstellar energy cloud. Dr. Demetriev has revealed that both Voyager 1 and Voyager 2 probes reported the entire solar system is at risk. Worse, Merav Opher, a NASA Heliophysics Guest Investigator from George Mason University claims this interstellar energy cloud is unstable and turbulent. The Russian scientist further asserts this photonic cloud of energy is exciting the atmospheres of the planets and especially our sun. As this interstellar energy cloud continues to excite and interact with the sun, it causes the sun to become more active, resulting in greater output and instability. The magnetic flux, interaction with the solar magnetosphere and Earth’s geomagnetic fields, can cause core mutations, anomalous field vortices, and polar magnetic permutations creating superstorms, wild weather swings, and—most amazing of all—atmospheric and subterranean harmonics capable of being heard all across the planet. The pyramids—natural reservoirs of earth energy and advanced capacitors engineered to draw upon the planet’s magnetic force field—are releasing and blasting pure energy into the drifting space cloud engulfing our defenseless planetary system. The predicted harmonics have been heard, recorded, and heatedly discussed since the spring of 2011. While some are undoubtedly fakes and hoaxes, others are genuine recordings of subterranean and atmospheric harmonics. “[The]…possible cause of these sounds…may lie at the Earth’s core. The fact is that the acceleration of the drift of the Earth’s north magnetic pole which increased more than fivefold between 1998 and 2003 and is at the same level today points to intensification of energy processes in the Earth’s core, since it is processes in the inner and outer core that form the Earth’s geomagnetic field. And the harmonics are emanating from the Earth’s core as the good professor theorizes. Similar sounds are sometimes heard before great earthquakes strike. This time, however, the sounds are not presaging massive earthquakes, but are being generated by the twisting magnetic field and the pulsing permutations of the spinning Earth’s core warping parts of the mantel. Everything’s reacting to the arrival of the huge photonic cloud that’s invaded our region of the Milky Way Galaxy. 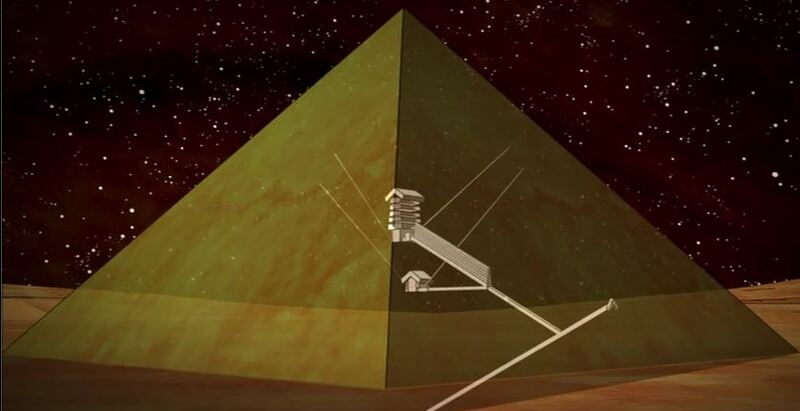 And as the Earth’s wailing rises into the sky, the pyramids thrust titanic bolts of energy far into space. Sasha Lessin Ph.D from Emmanuel Bombardier on Vimeo.